I want to thank you for the gifts + creativity you’ve bestowed upon me this year. I used to think “God-given talent” was something extremely rare and uncommon, such as a singer with an amazing voice. I’ve always admired people who were born into such voices because, no matter what I do, my voice will never sing like that. But through this work, I’ve come to realize that we’re all as amazing at our own unique things as those singers are at singing. I think we’re all made to be brilliant at something, and it’s often a greatness we don’t even realize we’re creating. More often than not, people lose their way. We’re steered in another direction, or we stubbornly try to do what we think we should be doing, and we ignore our calling. People don’t always go inward to find their true north. Oftentimes, we try to think about what would be right, rather than do what feels good. And more often than not, thinking and trying are the main ingredients of an unhappy life. I have a talent for inner-expression. Wherever I go, I imagine how everyone else is feeling. I’m very tuned into how I’m feeling. I mirror moods. I cry easily: I shed tears through arguments, songs I love, football games (or, winning moments in general), prayer, laughter, and when I see babies being born on TV. Events, people, and nature move me; I care very deeply about the the things I care about. And I can’t not process my feelings. One of the things that I care very deeply about is you. I love that you’re putting yourself out there, taking a chance, and exploring your true potential. I love that you create because I really love creators. I think we are all, each one of us, put here to create and play and explore this beautiful playground of a planet. 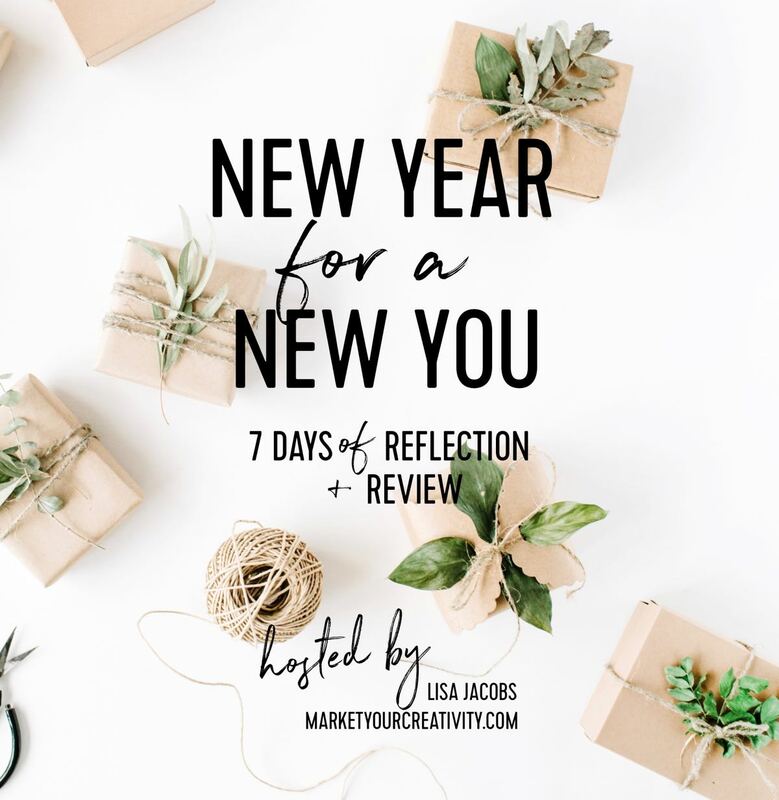 I want to help you showcase your unique talents and birth your miracles in 2018. I want your spirited creativity to take center stage. It’s time, and this is going to be your year. 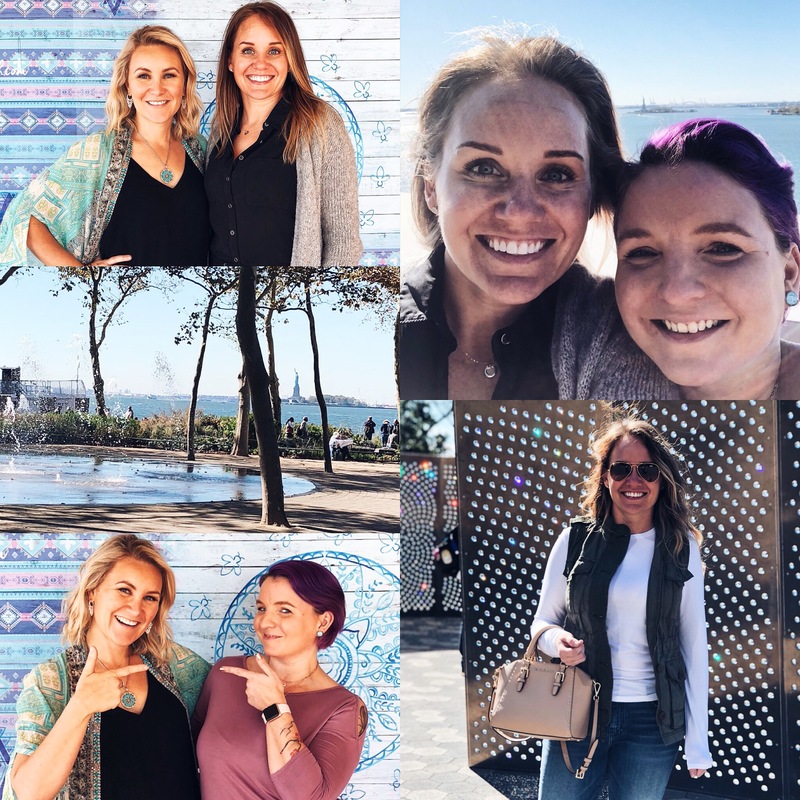 Before I break for the holiday this week, I thought I’d share a recap and the results of my 18 before 2018 challenge. Did you make a similar list? How did it go? Please share and/or leave a link in the comments! #1 Work ahead. I regularly find myself juggling several balls at once and feeling incredibly overwhelmed. Some parts of the job can’t be scheduled ahead (like social media live or an important discussion about new trends in the industry), but others can be. I’m just barely keeping up with the day-to-day demands of my job right now. Once I clear my plate, rather than bask in the emptiness of it for a few weeks (like I usually do), I’m going to look ahead on my annual strategy to see what I can schedule and automate for the future. I want more balanced portions on my plate, versus always full or all too empty. This task is still outstanding. My business had a huge re-org late October, which caused me to cool my jets and reevaluate my workload. I’m working day-to-day, but I am building a schedule with margin for 2018. #2 Do more live video. Earlier this year, I amped up my output (5X my normal rate for one week) as a marketing experiment (click here to see the results). It made me realize that I’m not used to sharing much of myself at all. I feel as though I “put myself out there” because I have more of an online presence than all of the people I know in real life, but always coming up with more ways to share showed me how reserved I actually am. It pushed me out of a comfort zone I didn’t know existed. This month, I’m called to do more recordings and live video on camera. It took four weeks of my putting it off before I realized I was in complete and utter avoidance! The recordings are to be shown to a massive, new audience, the live videos are for anyone to see, and I made up every excuse in the book as to why each day wasn’t a good day to get on camera. Truly! 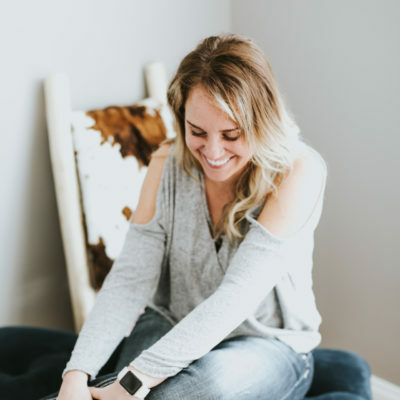 Even though I “put myself out there” via email, my blog, and social media, I know who I’m talking to—readers, dream clients, and colleagues that have read me for years. That’s called a comfort zone, my friends, and it’s time I break out of it. 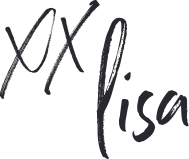 I vow to do 18 live calls before 2018 on Facebook (Marketing Creativity) and Instagram (@iamlisajacobs). While I’m not sure I completed exactly 18 live videos in these past few months, I am scheduling it as part of my routine in 2018. #3 Monthly dates with my husband. These have been sporadic lately, so I’m scheduling them into my calendar. #4 Decorate for the holidays. I have been such a ridiculous slacker/forgetter on this for a couple years now. Frankly, I don’t know what’s come over me! I’ll suddenly realize, “Next week is Halloween!” Some holidays, I’m so late to the party I just skip the decorating altogether. If it were anyone else, I’d say: “If you struggle this much, maybe it’s not as important as you think. Surrender the battle.” But, it’s me—and I know I love a home decked out for the holidays. I just haven’t been good at planning it, and so I’m going to carve time to create seasonal atmosphere and ambience. Done and done well! Had an excellent outdoor display up for Halloween and Christmas (in addition to our inside decorations), and got everything up in a timely fashion. #5 Have a 6-figure month. It’s my time, and I’m ready for the next step. I so wanted to cross this one off before 2018, but I at least came near at $71K in November. I’m coming for it early 2018! #6 Schedule a monthly family trip. We don’t need to go far, but we do need to get out and explore every month. It’s in our blood! Yes, accomplished! 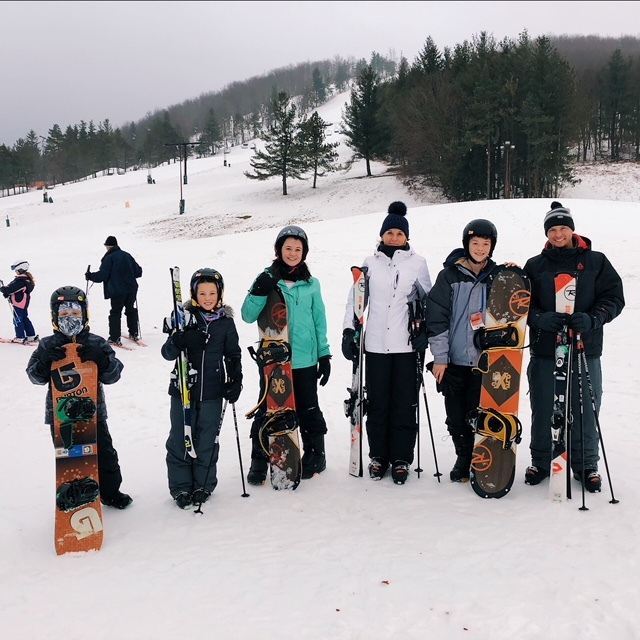 Plus, I crossed off a long-standing goal to learn to ski—a bonus to our end-year plans. #7 Host a grand re-opening for The Luminaries Club. I’m swinging the doors wide open and welcoming new members to the club this month. We’re all very excited to meet more like-minded entrepreneurs. Click here to learn more! Complete! It was epic, and we’ve welcomed hundreds of new members. #8 Triple my website traffic. Do you know where I love to hang out most online? Instagram—oh my goodness, the conversation, connection, and visual aesthetic are unmatched. Do you know what my top 3 sources of traffic are? Google, Pinterest, and Facebook. Instagram doesn’t even make the top 5 list which reinforces my earlier beliefs: Instagram is not work for me. I just love it so much, I sometimes delude myself into thinking it is part of the job. I need to refocus my end-year efforts on website traffic and opt-in conversion. I hired those painters and landscapers! I have four on my business team, and I plan on expanding even more in 2018. #10 Host a launch party! This is a career favorite. 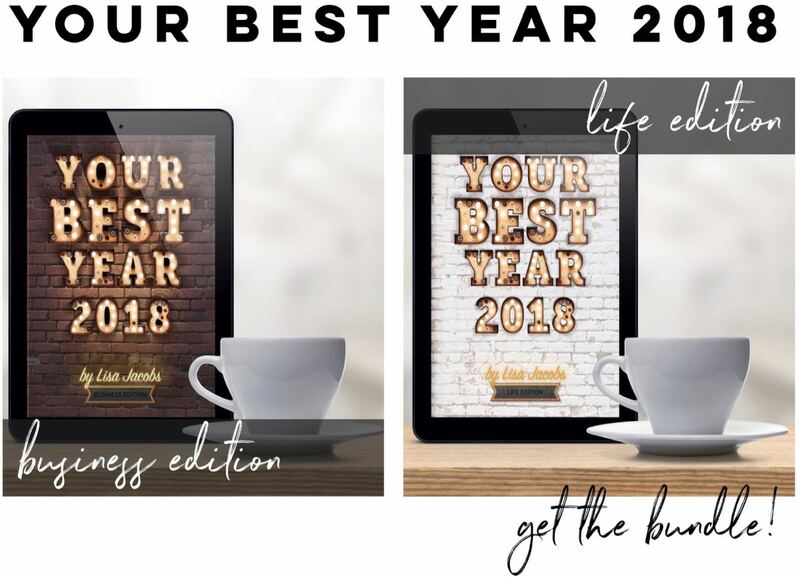 I’m so excited to host friends, colleagues, and clients at my Your Best Year 2018 workshop and launch party! It takes place in my hometown of Ashburn, VA.
One of my favorite memories of the year! #11 Buy a dining room table. My dining room table is beyond embarrassing. It is ugly, discolored, covered in paint and other project remnants, and uncomfortable! I look at it every day and wonder why it’s still in my home. The truth of the matter is, I don’t like dining room furniture. I think most of it’s ugly. There’s a table I would really love to own, but it’s an expensive marble top and I’ve heard marble stains easily. (I have four kids, and I myself am a sloppy eater!) I’ve seen others that I like, but nothing I love. I need to make the decision (talk about buyer’s inertia) and get the old table out of my life already! Done! I finally took the plunge, and then I splurged on all new placemats, cloth napkins, new dishes, glassware, and silverware. I love it! #12 Teach my daughter how to drive. This won’t take long, she’s a good and eager learner. #13 Release Your Best Year 2018. Official launch date is October 17, 2017! Not just one, but two editions this year! #14 Finish my final Luminaries program and book, Shop 2.o. This course will have a storefront focus, similar to my CreativeLive workshop: Turn Your Etsy Shop into a Sales Machine. Not done, but tabled. My heart’s not in this program, and there’s something more valuable I need to create. #15 De-clutter my home and have a yard sale. I’m going to Kon Mari the crap out of this place. Still need to-do. On my progress log for spring! #16 Do a 3-day fast. Once or twice a year, I do the master cleanse based on a lemon drink. Believe it or not, fasting fuels my mind, body, and soul. I love it, but I only like to do 3 days (some people can go 21 days on the program). #17 Meet my mentors. There are two women I look forward to meeting in-person this fall: Melyssa Griffin and Denise Duffield-Thomas. 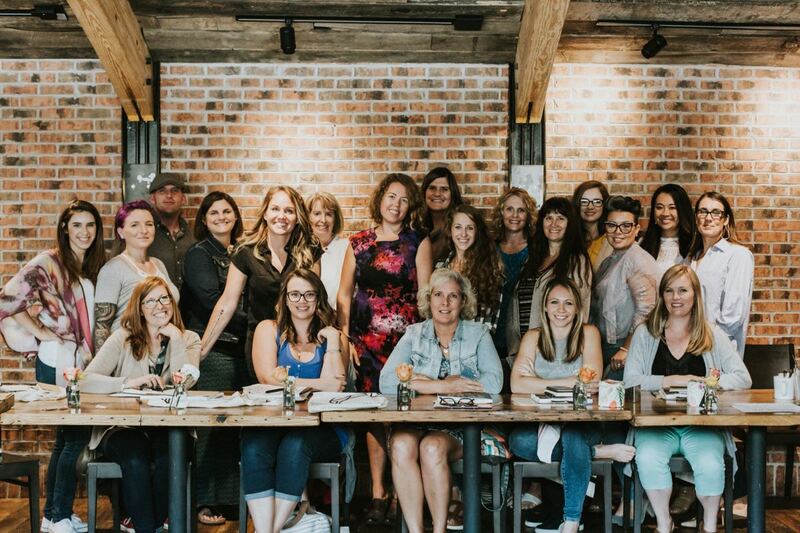 When I was working through Denise’s Money Bootcamp, I realized that I didn’t have mentors or a mastermind in place for my business. I’m hoping to remedy that, and I’d love to receive advice and mentorship from both of these powerful women. Done, and I treasured my time with my friend, Kara at Denise Duffield-Thomas’ conference! She’s the real deal. #18 Do more of what scares you. I put off shooting a new video for my business for months. Not because I’m shy on camera, not because I don’t have high-quality content spilling out of me, and not because I don’t have the equipment to make it all look and sound beautiful. I put it off because I know that when it’s done, I’ll need to show it to tens of thousands of strangers. I’ll have to put myself out there again, and in all new company. It took me just as long to realize how badly I was avoiding the project, and even more important, why I was avoiding the project. I’ve gotten into a comfort zone. I broadcast only to the people who already know me. I stay where I feel safe. If I’m going to take up every square inch of commercial space available to me, I have to go boldly. There’s no time to worry about where I’ll start, how I’ll look, what I’ll say. I’ve been preparing my whole life for this. No more preparations necessary! Instead of catch you later, I’ll catch you live. Done! I booked a whirlwind of travel plans into 2018, and it still scares me. But when I’m doing what’s on my heart, I’m not worried about the impending marketing burst or what that means for my business or how next year’s profits will compare to this year’s. Because none of it matters. I’m here now, soaking up the opportunities and callings as they arise. And this I know for sure: We all need to do a whole lot more of that. 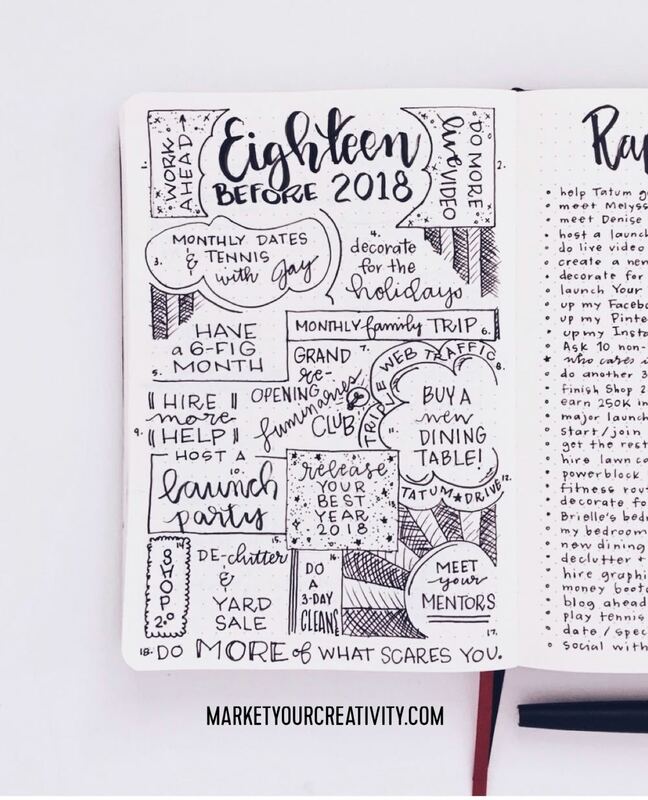 Share your results and hashtag them #18before2018 and #yby2018 on social – or – leave a link to your blog post in the comments. I would love to read about your goal progress.